Summer weather is finally here and I've been trying out a selection of products from Boots which are perfect for getting me ready for (hopefully) all those sunny days ahead! 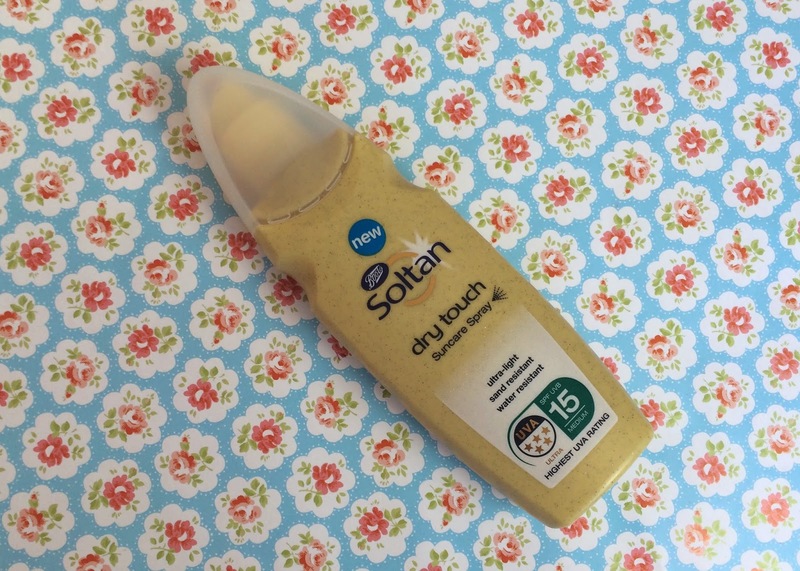 Last weekend the weather was nice enough to lay out in my garden in the sunshine, and to protect my skin from burning I tried out this sun protection spray from Boots Soltan. It's called Soltan dry touch suncare spray and it's SPF 15. It's a really light spray which absorbs quickly into the skin without any stickiness. My boyfriend hates having suncream on his skin but he really liked how this didn't feel heavy or greasy - he's asked me to stock up on this sun spray for when we go on holiday. 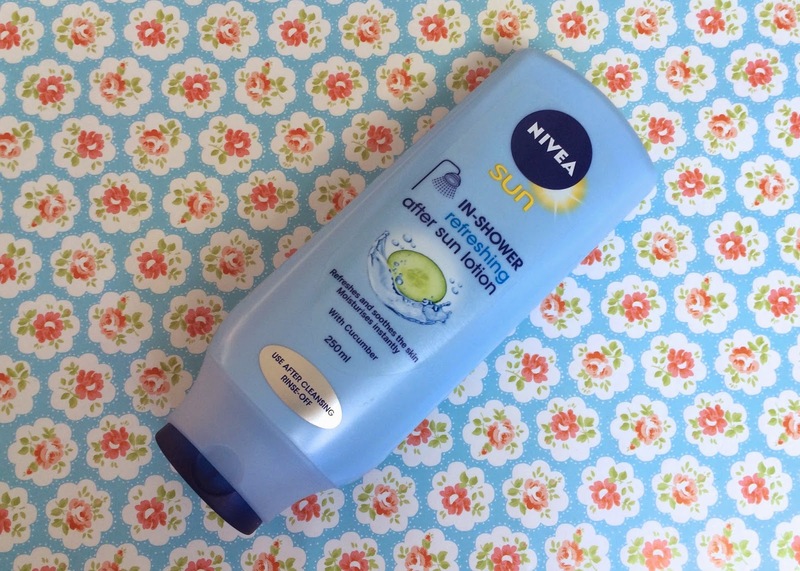 After lazing in the sun I tried out Nivea's new addition to their in shower moisturiser range, which is the in-shower refreshing after sun lotion. I really like Nivea's in-shower moisturisers and always have a bottle on hand in my shower. The in-shower after sun is the exact same concept and is just as nice to use, but it's also soothing for skin that's been out in the sun and it has a really fresh smell. If you've not tried this range before I really recommend giving it a go - it's the easiest and most fuss-free way to moisturise your body. You just apply it to your skin in the shower after washing, rinse it off and you're all lovely and moisturised without the faff. I'm unlikely to pick up a proper tan in my back garden, so I'm also more than happy to go for a faux glow. It's the first time this year that I've actually gotten around to fake tanning as I usually find it all too much of an effort. The new Vita Liberata luxury tan won me over to put the effort in because it lasts for 2 - 3 weeks. Yep you read that right, 2 - 3 weeks! 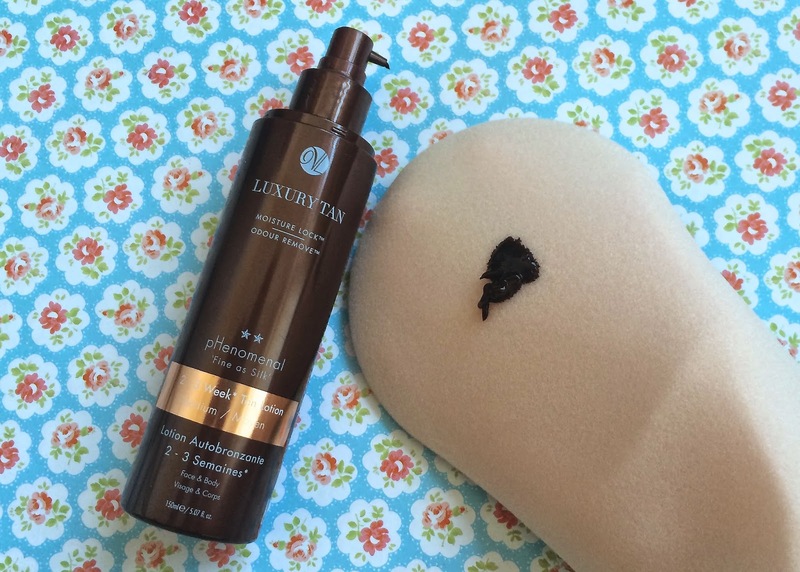 I tried the Vita Liberata phenomenal tan lotion in medium - it's a dark brown colour from the bottle and you apply it with a tanning mitt. It leaves a really nice instant shade of bronze so that you can see where you've applied the tan and make sure you haven't missed any bits. It claims to have no fake tan smell - I still expected to smell like biscuits, but this really doesn't smell at all. It's the first tan I've tried which genuinely has no smell whatsoever - no more stale digestives! You need to leave the tan on for a few hours or overnight before showering off. I managed not to get any tan on my carpet or sheets and when the tan was showered off it looked really nice and natural and enhanced the little wash of tan I'd picked up in my garden. Over a week later and my tan is still here and is fading really evenly and naturally - I actually forgot I was wearing fake tan! To build up the tan and keep it going the full 2 - 3 weeks you're supposed to reapply twice over the first few days. Now that I know how lovely the tan turns out I'm definitely going to give it another go and will do the full three applications. It's a little more expensive than most tans I've used, but in terms of the streak-free finish, lack of unpleasant odour and lasting power, this is the best tan I've ever tried. I've also been trying a new offering from Indeed labs - the facial powdered exfoliator. I actually gave this a try before I applied the Vita Liberata tan as like my face to match my body properly if I'm wearing tan. The facial powdered exfoliator is quite different from most exfoliators - it's a fine powder which you activate with water in your hands which makes it fluff up into a cream which you then apply to your face to exfoliate your skin. The exfoliator feels gentle on the skin in use and doesn't contain any big grainy bits to irritate the skin. Instead it's packed with clever ingredients including bamboo extract, rice bran powder, pineapple enzymes, okinawa red algae and hyaluronic acid to exfoliate and soften the skin without any harsh scrubbing. And lastly to complete my summer ready bronzed look I've been giving the Sleek face form palette in medium a try. The face form palettes are made up of three shades for contour, highlight and blush. As always with Sleek the colours are heavily pigmented and really well blendable. The face form palette comes in four shade ranges - fair, light, medium and dark. 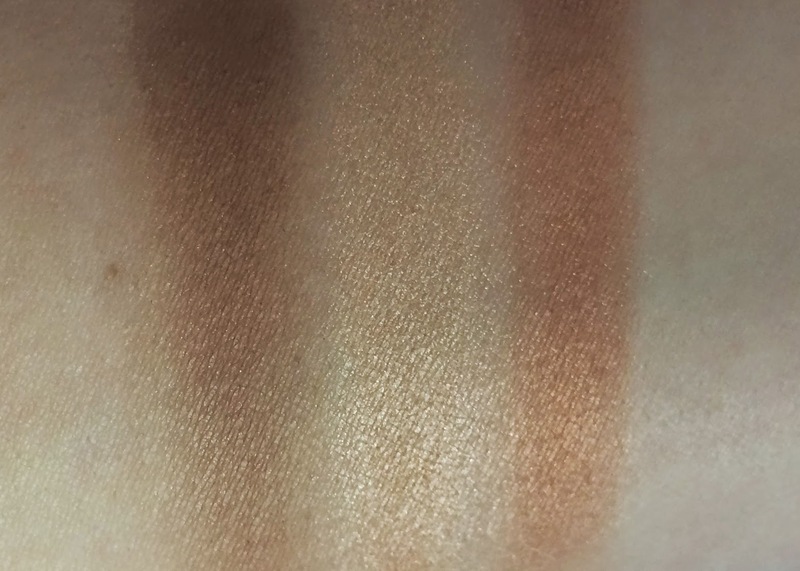 The medium palette is is probably the wrong shade for my skin tone - I think I'd need the fair or light palette, but it's only the contour shade that's too dark - I can still use the highlighter and bronzer shades which are gorgeous, shimmery golden shades. 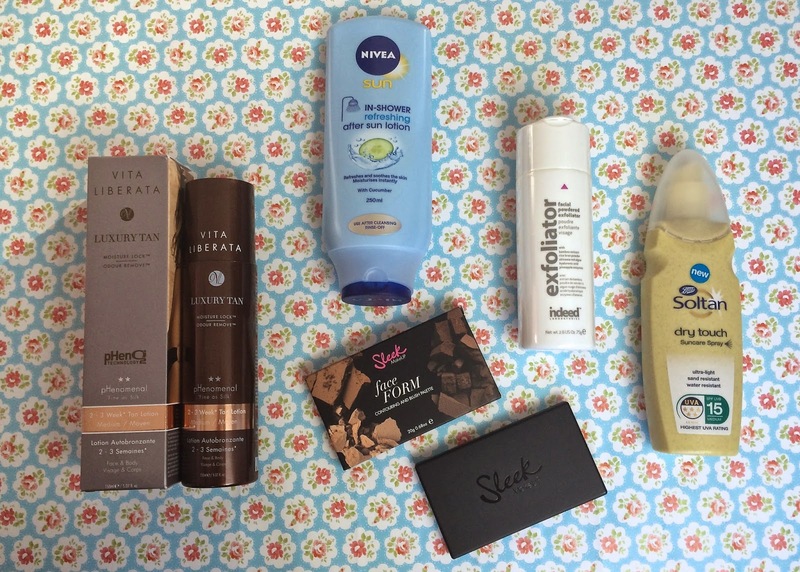 Which products are you stocking up on for summer? Great post. I'm loving the Nivea, in shower moisturizer. I can't wait to try that :). Love the sleek face palette and kinda interested in that Suncare spray. No wonder why you love these products for Summer for they really seem so perfect for Summer. I haven't thought of any products yet. Glad you have shared these.